Elephant Stone - Where I'm Going. Background promo - After a wild tour through the west coast of the United States and Canada in November, Elephant Stone are strapping down their sitar and vintage guitar gear, and heading out on at US tour (plus honorary American city, Toronto) which has the band in and out of Austin for SXSW. To coincide with the tour announce, the band are presenting another smash song, "Where I'm Going" which features a newer sound that the band has been absolutely killing it with recently. Background promo - Forming as a time killer in high school, it was only after graduating that the boys from Chambers (Jim, Jason, Hendo, and Aiden) started taking their music and creativity more seriously. After playing a bunch of shows for two years straight, the months leading up to the end of 2015 saw the band take a bit of a break to recoup, recollect and start working on a brand new set and musical direction. Their new single “Yeagin Shone” encompasses their transition from being young and dumb, to being slightly older and slightly wiser. 2016 has just begun, and Chambers will make it their best one yet. 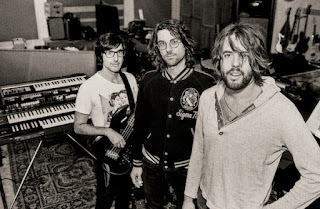 The single was recorded at Tender Trap Studios and was produced and engineered by Greg “Bees Knees” Rietwyk. Mastering was done by Jacob M at Clockwork Mastering. 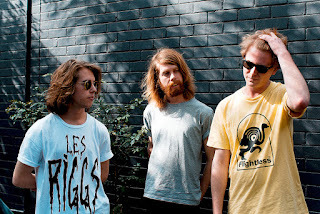 Background words - Louisiana-based indie poppers Givers have announced their highly anticipated second album 'New Kingdom' will see a UK release of 8th April via Glassnote Records. 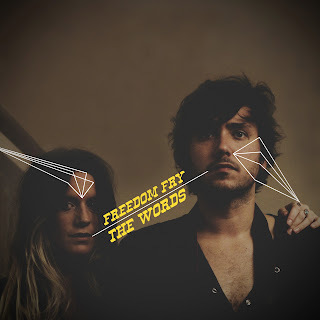 Freedom Fry - The Words. 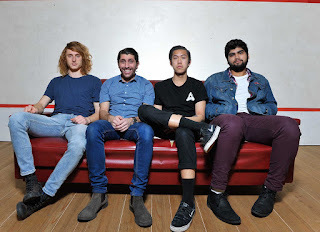 In February 2015, Freedom Fry started the year at #1 on The Hype Machine with their first in a series of new singles, “Shaky Ground (Hey Na Na Na).” Just a few weeks later, Spotify included them in their rankings of “100 Emerging Artists From SXSW,” where they met Belgian sensation Stromae and were asked to support his west coast tour. 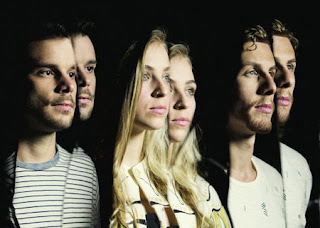 Freedom Fry ended the tour with the beginning of a weekly May residency in Los Angeles, then took off to well-received shows in London & Paris, and came back to tour the east coast with Communion Presents. The Attics - Not Like. Background promo - Returning to their roots for their latest release, ‘Not Like’ is quirky pop music, standing on the sidelines of a dancefloor. Sparse verses with minimal beats, choruses that show careful, yet catchy restraint and a twisted psych breakdown with a looping falsetto calling “hometown always is one place; she goes away, but always stays with me”. This is pop songwriting, flirting with deep layers of effected synthetic instruments and wonky bass lines. Highasakite - Someone Who'll Get It. 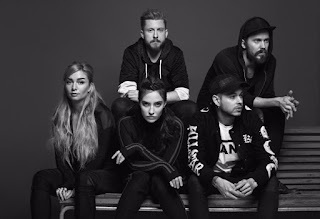 Background promo - Norway’s Highasakite return with perhaps their darkest offering to date, unveiling new single ‘Someone Who’ll Get It’ – the first lifted from the band’s highly-anticipated sophomore LP, slated for release this year. It ricochets; it resonates, with Highasakite’s signature battalion in full force.